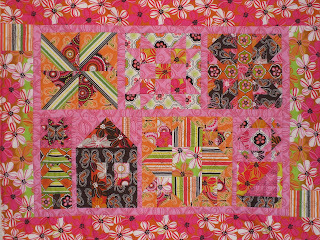 During the last few weeks I have been showing you photos of this quilt. I have now finished quilting the border and have the binding cut. Yippee. I am so excited. Make note of the quilt number that is posted with each quilt. Then send an email to connect@sew-sisters.com and cast your votes. two postcards and they are number 57. 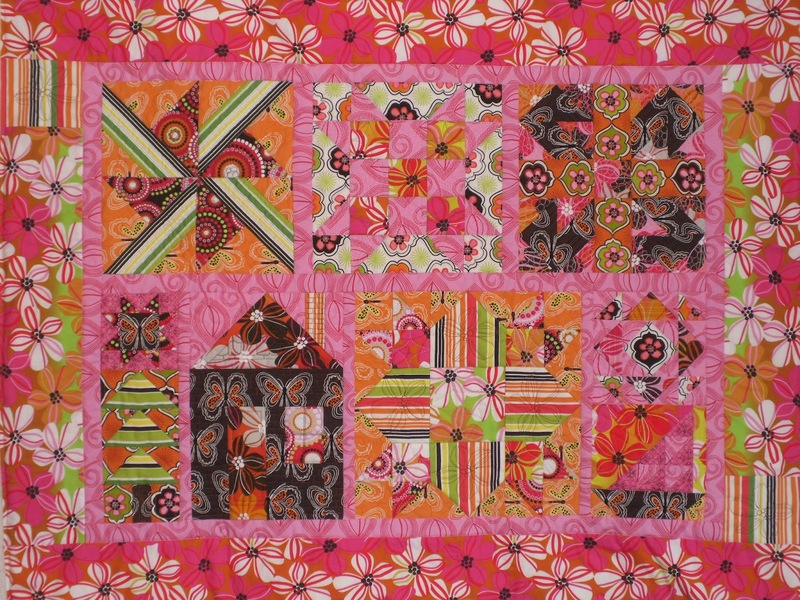 Of course, if you see another quilt there that you prefer to mine, then vote for that one. Remember, there are three categories, so you can vote for three quilts. Voting closes March 6, 2012. Wow! 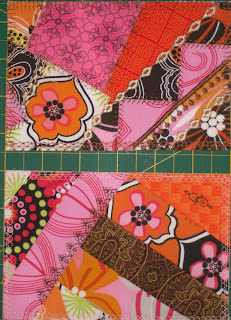 I love all the color and I am not a big fan of pink, but I am loving the sort of hot pink and bright oranges lately. The post cards are fab too. You are very talented. I am off to vote for you right now! Gorgeous color combo! I love it. I voted for you! Your quilt is gorgeous. Good luck!